﻿ Batteries – KONČAR Elektronika i informatika d.d. 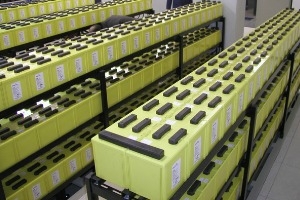 Stationary batteries are backup and rechargeable source of energy and are intended for use in the power supply of telecommunication systems, uninterruptible power supply systems (UPS), emergency lighting systems, security systems, systems for monitoring in industrial plants, power plants and substations and all other plants where it is necessary to provide backup power source (medicine, solar photovoltaic systems, railways …). KONČAR INEM as a Croatia’s representative for two leading manufacturers of batteries, EXIDE and ENERSYS, can offer all types and designs of stationary batteries. Also, as part of a product range, we offer all the equipment to installation of the battery (racks, cabinets), as well as all spare accessories for mounting and connecting of the battery. We also have our own service team, which consists of professional and trained people who perform technical support services, installation, maintenance and servicing of batteries.